Basic Account Information: We ask for basic information from you in order to set up your account. For example, we require individuals who sign up for a Safehosts service to provide company and contact details–and that’s it. You may provide us with more information but we don’t require that information to create an account. Public Profile Information: We do not make any of your information public. Transaction and Billing Information: If you buy something from us–a subscription to a Safehosts service, for example–you will provide additional personal and payment information that is required to process the transaction and your payment, such as your name, credit card information, and contact information. Credentials: Depending on the Services you use, you may provide us with credentials for your website (like SSH, RDP, and SFTP username and password). For example, users may provide us with these credentials in order to allow our hands staff to access their equipment during an emergency. Log Information: Like most internet service providers, we only collect netflow data. (5) You have given us your consent–for example before we place certain cookies on your device and access and analyse them later on. Third Party Vendors: We may share information about you with third party vendors who need to know information about you in order to provide their services to us, or to provide their services to you or your site. This group includes vendors that help us provide our Services to you (like payment providers that process your credit and debit card information, fraud prevention services that allow us to analyse fraudulent payment transactions, postal and email delivery services that help us stay in touch with you, customer chat and email support services that help us communicate with you. We require vendors to agree to privacy commitments in order to share information with them. To Protect Rights, Property, and Others: We may disclose information about you when we believe in good faith that disclosure is reasonably necessary to protect the property or rights of Safehosts, third parties, or the public at large. For example, if we have a good faith belief that there is an imminent danger of death or serious physical injury, we may disclose information related to the emergency without delay. With Your Consent: We may share and disclose information with your consent or at your direction. For example, we may share your information with third parties with which you authorise us to do so, such as service providers connecting your office to our network. For example, we keep netflow data that records information about a visitor to one of Safehosts’s websites, such as the visitor’s IP address, connection type, and traffic flow, for approximately 30 days. We retain the logs for this period of time in order to, among other things, analyse traffic to Safehosts’s network and investigate issues if something goes wrong. Set Your Browser to Reject Cookies: At this time, Safehosts does not respond to “do not track” signals on some of our Services. However, you can usually choose to set your browser to remove or reject browser cookies before using Safehosts’s websites, with the drawback that certain features of Safehosts’s websites may not function properly without the aid of cookies. Close Your Account: While we’d be very sad to see you go, if you no longer want to use our Services, you can give notice according to your contract. Please keep in mind that we may continue to retain your information after closing your account, as described in How Long We Keep Information above–for example, when that information is reasonably needed to comply with (or demonstrate our compliance with) legal obligations such as law enforcement requests, or reasonably needed for our legitimate business interests. 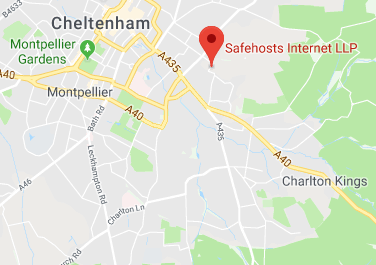 Safehosts are the controller of personal information, which means that they are the company responsible for processing that information, based on the particular service and the location of the individual using our Services. Depending on the Services you use, more than one company may be the controller of your personal data. Generally, the “controller” is the company that entered into the contract with you under the Terms of Service for the product or service you use. The chart below explains the controllers for processing your personal information. December, 2018: Revised and reorganized language throughout to help simplify the policy and clarify our practices. June, 2018: Added information to reflect the requirements of the EU’s General Data Protection Regulation.